Designing for teen girls is so much fun! As you can see purple was our color of choice. I used black, white and grey as the accent colors to tone down the purple. The room is made up of the following items. 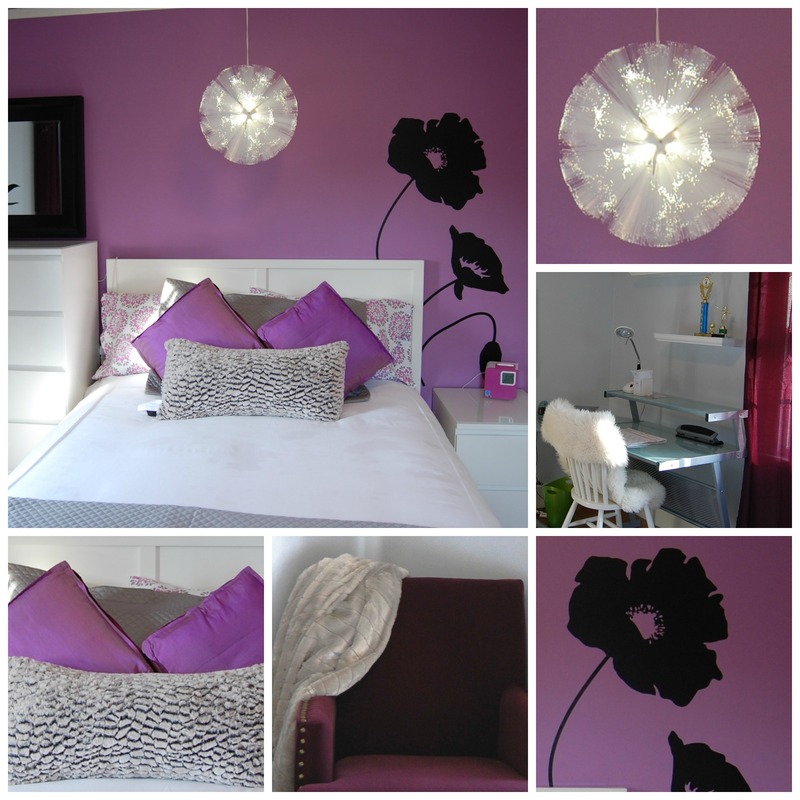 Teen rooms do not have to be boring or expensive, have fun designing your teens room! Let me know your ideas for teen design by commenting on this post, or liking it! If you are not already a part of the FOCB (friends of Celia Bedilia) please click on the follow button and never miss a post! Oh my Celia… This teen bedroom is off the chain as my 21 year old would say. Love, love purple and how it is played with through the room…And the decals? Well, awesomeness!!!!! Purple is my favorite color. This room was made to sleep in.